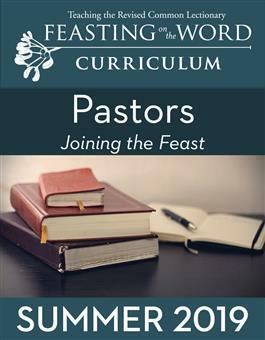 Joining the Feast resource for summer 2019 includes material for the summer season of curriculum, June 2 through August 25, 2019. For this product, you will receive one bound, printed copy of the curriculum for each season and the curriculum will not be available as a download. Resources include the Shape of the Season resource, the Church Year Calendar, ideas for integrating curriculum activities, all-church program ideas for special Sundays, and featured articles that expand the theme of the season. A Children's Bulletin is also included for each week.